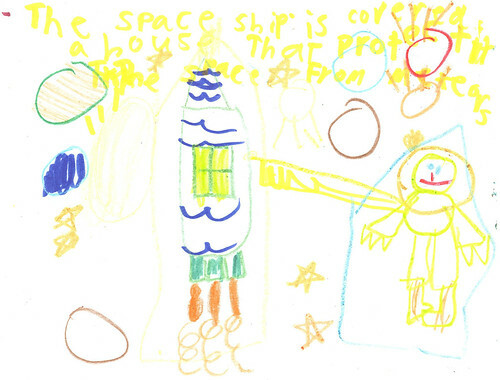 Taylor Simonich, a California first grader, won the design contest for the elementary school group, with this drawing of a space ship/house protected by a forcefield. 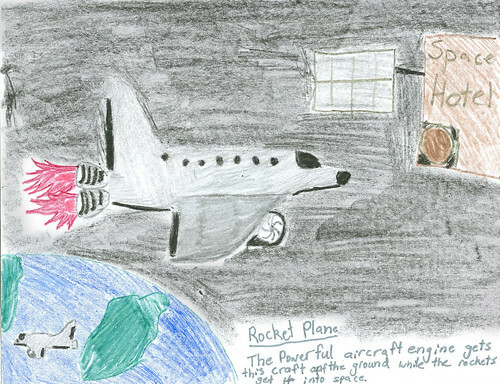 Haley Ross, a Texas eighth grader, won for her age group with a design for a rocket plane, with turbines that power takeoff and rockets to propel the vehicle in space. 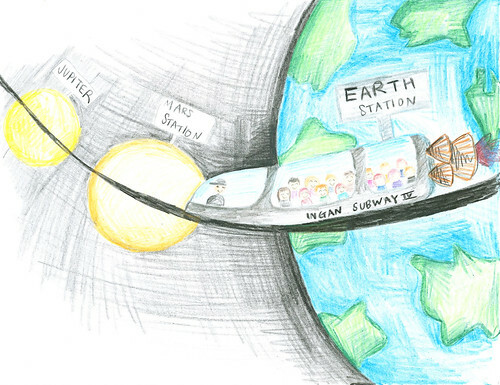 Twelfth grader June Floyd, from Georgia, won for her age group with a depiction of a space-subway system that transports passengers from earth to other planets in the solar system.